The unissued recordings of Vladimir Horowitz: An example of copyright endangering culture? Today, copyright influences strongly how cultural works are produced, who can access them, and how they can (or cannot) be used and shared. An important problem connected with the current strict copyright practices is the danger of confinement, degradation or even loss of important cultural heritage. The world-famous artist Vladimir Horowitz is a striking example for these problems: His recordings are highly esteemed by critics and fans alike; nonetheless, a significant part of them remain unpublished, in locations without access of public or conservation specialists, and thus in danger of permanent loss. The following interview discusses the reasons for these problems, as well as implications for general copyright practices, with Bernie Horowitz, administrator of The Horowitz Website, enthusiast and collector. 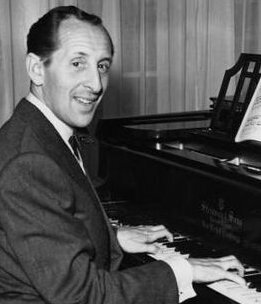 (1) Over 20 years after his death, Vladimir Horowitz is still one of the most famous pianists. Why? Bernie Horowitz: One doesn’t have to be a classical music aficionado to experience Vladimir Horowitz’s overwhelming nervous intensity. (2) Considering his fame, many people will be surprised that a significant part of his recordings remains unpublished. Can you make a rough estimate which how many of his live recordings (excluding pirate recordings) are blocked? BH: For an inventory of what Sony has in its vault, please see here. Specific programming information about each individual concert is available here. (I think the focus should be on the unreleased live recordings, from the 1945-50 period, but especially 1966-68 (which have presumably been preserved in high-quality sound, unlike the “private” recordings). (3) How important are the unreleased Horowitz recordings? What is at stake for music fans? BH: It is widely accepted that Horowitz’s live performances are superior to those he recorded in the studio. But RCA did not begin recording Horowitz’s live recitals until 1951, when he was forty-seven years old. While RCA finally decided to start recording Horowitz live in 1951, he retired from the stage in 1953 (after only three recitals had been recorded) and didn’t return until 1965 (when he was sixty-one years old), before retiring again in 1969. Hence, arguably the greatest pianist of the twentieth century was recorded in his prime, in live solo performance by his recording company on just twenty occasions; three times between 1951 and 1953 (between the ages of 47 and 49), and seventeen times between 1965 and 1968 (ages 61 and 65). Of the latter group, most remain entirely unreleased except for a few fragments. A complete list of Horowitz’ live recordings can be found here. (4) From 1945 to 1950, Horowitz paid an engineer to record his performances at Carnegie Hall. Why has Sony the rights to these “Yale recordings,” which were donated by Horowitz to Yale University? BH: This is a very complicated issue, and my understanding is limited; the Horowitz Estate owns the Yale recordings, but Sony possesses the licensing rights. There’s also a cornucopia of conditions for the approval of releases and the disbursal of profits from sales. I’ll say a bit more about this in response to other questions below, but I don’t want to speculate about subjects I don’t fully understand. (5) A small part of the “Yale recordings” was issued on 3 CDs in 2009/10. How did this come about, and is there a chance of further releases? BH: After Horowitz’s death in 1989, his producer, Thomas Frost, and engineer Jon Samuels listened to all the “private” recordings. They agreed that the material should be evaluated for commercial release. Frost approached Horowitz’ wife, Wanda (Toscanini-Horowitz), about issuing the “private” recordings, but the releases were restricted to pieces which Horowitz had never otherwise recorded. This substantially limited Frost’s options. However, he presented Wanda with a compendium of recordings from the collection, enough music to fill two CD’s. Wanda approved the releases, but vetoed two specific selections: Horowitz’s only existing performances of Franz Liszt’s St. Francis Walks on the Water and Mili Balakirev’s Islamey. Both these recordings (finally released just recently) feature unbridled virtuosity and staggering technical command. After years of reading critics assaulting the depth of Horowitz’s musicianship, Wanda was fed up. She apparently decided that no matter how well-played, these two pieces wouldn’t serve the best interests of her husband’s reputation, along with many other performances from the collection. I don’t know about further releases – I’m in no way affiliated with the Horowitz Estate, Sony, or professionally involved with music, I’m just a dilettante. (6) What do we know about Horowitz’ position on these recordings, which he donated to Yale University? BH: Horowitz said more about this than people realize, including interviews and press conferences. I recall at least one instance where a questioner asked directly Horowitz about releasing the private recordings (which were known to insiders at the time because he would play them for guests at home), and he complained about the sound quality and said that he thought it precluded commercial release of the material. In a recorded interview with Don Newlands of the CBC in 1975, Horowitz discussed his performances of the Brahms 2nd Piano concerto with Toscanini and Bruno Walter (see 5:29), the conductor with whom Horowitz said that he worked best. The Walter recording (recorded live at Carnegie Hall on April 8 or 9, 1948) is one of those locked up at Yale. I think it’s implicitly clear from the CBC interview which one Horowitz preferred. I’ve heard from a third-hand account (from somebody who spoke to a Yale student who listened to the Walter recording in the early 1990’s) that the Brahms performance in question is excellent, vastly superior to the recordings with Toscanini. It’s a shame that this recording remains unreleased, because all other existing Horowitz recordings of the piece were conducted by Toscanini, and I (and many others) don’t find them to be so great. (7) The recordings in Yale are accessible to visitors (in accordance with the function of the archive). These recordings were originally made on acetate disks susceptible to scratching or breaking (one disk had already broken before the donation was made). Has it been it possible to make backup copies, or are the only existing copies played for the visitors? BH: The acetates were transferred to tape immediately upon their donation to Yale. Unfortunately, judging from the sound of the 1994-5 releases relative to those from 2009-10, the originals are apparently still utilized for new releases, and it sounds as though they’ve deteriorated over the past fifteen years. (8) Furthermore, there exist professional recordings of live performances from 1966 to 1968. How valuable are these recordings? What reasons might Sony have for not publishing this material, as well as the Yale recordings? BH: The Yale recordings and the 1966-68 CBS recordings fall into different categories. If I understand correctly, in the case of the former, the Horowitz Estate actually owns the recordings, while Sony has the licensing. The latter are owned by Sony rather than the Estate (but the Estate still controls an uncommonly sizable portion of the royalties, of which most go to charities). As per the examples I presented above, the only possible answer I can imagine for the CBS recordings not being released is money; Sony probably doesn’t anticipate a profit. (9) Some pirate recordings in bad sound that are in circulation show these to have been spectacular concerts. BH: I don’t think there can be any possible doubt as to the musical merit of releasing the 1966-68 recordings. Just listen to Horowitz’s “Vallée d’Obermann” from December 10, 1966 (see below); imagine that in professional-grade sound!! The 1966-68 period reflects the only time of Horowitz’s prime career during which he was professionally recorded in live performance on a regular basis. Navigating the high seas (Horowitz and his wife could be very difficult when it came to releasing recordings), and utilizing a few selections of these live recordings, Frost produced award-winning recordings released in 1967, 1968 and 1971 (in addition to one every year from 1962-65). Interestingly, most of the Horowitz recitals recorded by Columbia from 1966-68 were also recorded by members of the audience, who’d smuggled in recording equipment. And, while these recordings often feature very poor sound quality, they suggest that as with Wanda’s preferences with the posthumous release of her husband’s “private” recordings, the selections released by Columbia from the 1966-68 period may have been selected partially in accordance with Wanda’s distaste for recordings in which Horowitz’s virtuosity was abundant. I could argue at length, but will simply present two examples. Horowitz’s performance of Liszt’s “Vallée d’Obermann” from December 10, 1966, recorded from the audience (also recorded by CBS and held in the Sony vault). Horowitz’s commercial live recording of the final movement of (Rachmaninoff’s Second Sonata from December 15, 1968). (10) Is there a danger of deterioration or loss to the unissued Horowitz recordings in the vaults of Sony? Is anything known about their condition? BH: I don’t know about the condition of the recordings in the Sony vault. But, my hope is that by 1966, recording technologies had advanced to the point that recordings wouldn’t deteriorate very much over time. (11) In 2009, Sony issued a big 70-CD-“Original Jacket Collection”, which included only a small percentage of unreleased material. Why do you think Sony gave this project priority over the unpublished material? BH: My guess would be finance. It would be much cheaper for Sony to issue the “Original Jacket Collection” without paying engineers and producers to collate previously unreleased material. From Sony’s perspective this would be a matter of mere “opportunity cost.” How many people who considered purchasing the “Original Jacket Collection” know about the unreleased material? Would this dissuade them from making the purchase anyway? In my case, definitely – but I’m probably in the minority. (12) Is the fact that Horowitz donated the “Yale recordings” to the University a sign that he wanted them made available to the public? BH: I think we have to make a distinction between the commercial release of the “Yale recordings” and the mere ability to access them through the archive. There should never be any ambiguity about the fact that the Horowitz’s intended to make the recordings available to people who wanted to visit the archive and listen. The isolation of the private recordings at Yale grossly discriminates against those who live in Asia and Europe. It’s enough that people who live outside the northeastern US have to visit New Haven, Connecticut to hear these recordings – but there’s more: the archive is so poorly staffed and over-booked that appointment-making is tedious and must be done far in advance. Towards the end of his life, Horowitz took pains to cater to his fans abroad, first with a special “International” concert on May 7, 1978 (most of the tickets were sold to people who lived outside the US), and then with his tours to Japan and Europe between 1983-87. On the question of the recordings being commercially issued, as was the case with releases during his lifetime, I think Horowitz (and Wanda) would have been highly selective and reluctant. As for Horowitz himself, we must remember that he was the sort of person who on numerous occasions had releases blocked and recalled, and we know without doubt that substandard sound quality would have been a significant (if not decisive) consideration in his mind. But, at the very least, I think that he might have supported the release of the aforementioned Brahms 2nd Concerto with Bruno Walter, depending on its sound quality. It should also be noted that as long as Wanda was alive, Horowitz couldn’t have arranged this release; can you imagine him telling Wanda that he didn’t like the other Brahms 2 performances because of her father’s conducting? (13) Supporters of strong copyright laws argue that market forces will ensure that works of great artists are made available to the public. The example of Horowitz seems to prove the opposite – does this mean current copyright doesn’t work, and might endanger even the recorded heritage of world-renowned artists? BH: The purpose of copyright laws is to protect artists’ control of their own material; should they wish to withhold certain segments of their output, that’s their right. I’m not aware of any facet of copyright law which incorporates the public interest in access to restricted, copyrighted material. But, with respect to artists restricting access to their own material, I don’t feel that copyright is something we should worry too much about. I’d posit that in most such cases, the death of the artist or generator of the restricted material ultimately facilitates access. Yes, there are extreme instances where unreasonable people have made it impossible for certain material to ever see the light of day after they die. (I vaguely recall reading in Robert Dallek’s Nixon and Kissinger that Nixon’s physician recently made arrangements precluding public access to Nixon’s medical files for the next 75 years!) In most cases, however, the death of the artist voids such restrictions. I think the problem is merely that market forces no longer reflect the proclivities of consumers. If we were dealing with 1980’s-grade technology today, wouldn’t you agree that Horowitz recordings would sell many more individual copies? As for the current landscape, I can’t conceive of an electronic mechanism which could prevent CD-burning and file sharing, somehow assuring that each consumer seeking a certain recording would have to make a purchase. If Sony releases a brand new Horowitz CD which contains the unreleased recordings, a few people will purchase copies and then share them online. Sony would never recover their costs (if substantial) because so few people would actually pay. (14) Horowitz died in 1989, and his wife, Wanda Toscanini-Horowitz, in 1998. Today, “the Estate of Vladimir Horowitz” is represented by Allan Steckler, who has to approve every new publication. Has there been a clear policy regarding unissued material from their side? BH: Yes, Allan Steckler exercises de facto control over any releases by the Horowitz Estate. Mr. Steckler has never publicly expressed any sort of “policy” for such releases. There are a number of other legal complications which I won’t address; there are others who have jurisdiction (and veto power) over releases, and there also exist special conditions affecting the disbursal of profits yielded by Horowitz recordings sales. Horowitz fans must not forget that Mr. Steckler is financially incentivized to issue as many Horowitz recordings as possible. If I thought Mr. Steckler were the person who actually selected the materials for recent releases (from the Yale collection), I would hold it against him. However, he’s not. Horowitz fans concur that many of the selections included in the recent “Yale” releases were incomprehensible. Purely on the basis of piece selection (and not sound quality, which I cannot evaluate), the selections were a mere tease. Nobody wanted to hear another Horowitz recording of the Schumann Fantasie or Chopin Barcarolle (both in poor sound) and least of all a collection of Haydn and Beethoven Sonatas. If given a choice, this was the Yale material which Horowitz fans wanted to hear least! (15) Would it make sense for fans of Horowitz to write to Sony and/or to Allan Steckler, or even to initiate a campaign for release of the unissued recordings? BH: Only an incorrigible optimist would suggest that such a campaign might make a difference. I think the only way the situation will change is if some noble soul conducted an armed robbery of the Sony vault as well as the Yale archive. Who’s with me?! To be serious, under present circumstances, I think that encouraging the release of the 1966-68 material would require intervention at the top level of the Sony Classical bureaucracy. From what I can tell, Horowitz is more popular in Asia and Europe than in the United States. I don’t think this problem would be solved by fan mobilization. I should also point out that Sony Classical has been in a state of upheaval lately. They recently switched CEO’s, and rarely seem to dig into their archives. Even if all the support for Horowitz was somehow projected, I don’t know that it would make a difference under present conditions. (16) Companies now control a major part of our cultural heritage. Obviously, they have thus gained an important cultural function. Do you think they are aware of this responsibility? BH: Ambrose Bierce famously said that corporations are an “ingenious device for obtaining individual profit without individual responsibility.” I’d be hesitant to attribute corporations any sort of collective consciousness. Then again, according to Citizens United v. Federal Election Commission (a 2010 US Supreme Court decision), corporations qualify as persons under the First Amendment (insofar as exercising political views in campaign ads, for example). (17) Taking into account that companies today fulfill functions traditionally given to archives and museums, would some kind of “cultural preservation law” make sense, obliging film and record companies to preserve, secure (by making copies) and publish material from the great artists (i.e. musical recordings, films etc.)? BH: Though it’s a nice idea in principle, a government regulation mandating the preservation of certain historical recordings would be unfeasible. I don’t see how legislation could account for the selection process (it would be inconceivable to preserve everything). Furthermore, even if such a law were passed, industry lawyers would have a field day; any such mandate would impose a heavy cost burden on recording companies (which are struggling already) on the basis of affecting material that they already “own.” Hence, because it would be unrealistic to expect the companies to pay for these preservations, any such initiative would necessitate heavy government funding, an impossibility considering the current financial state of the US. (18) Speaking about copyright reform, different proposals have been made. Would a “use it or lose it” clause for companies (NOT private copyright-holders) make sense, requiring them to publish material in a certain timespan, otherwise giving copyright back to the authors or their heirs? BH: I like the timespan idea. Why would a company suddenly decide to issue a recording that’s 50 years old? There should be a means by which recording companies make old recordings (which will never be issued) available to small consumer groups. (19) Other proposals currently discussed would shorten the length of copyright protection, e.g. ending it with the death of the creator of the work. Do you think that’s a good idea? BH: I answered this partially in question #11; I think that what we’re dealing with in the case of Horowitz mostly isn’t a copyright problem, it’s a money/consumer expression problem. Besides, it would be a violation of basic principle to strip the copyright from the inheritors of an artist’s material. Realistically, I think any such policy would have to centrally focus on encouraging propagation of the content rather than stripping or limiting copyright or ownership. (MS) The unissued recordings of Vladimir Horowitz are just one example of the access barriers which exist in many areas of culture today. If we don’t want to lose many fascinating works, we should think about new ways of organizing access to cultural works. Clear opposition by the creators themselves is the only reason where non-publication is legitimate. In the long term, copyright as we know it seems outdated – but we need a new way of production (peer production, as discussed on this blog) to replace it without hurting creators. Those who care about unpublished and endangered works, however, can get active today. Fan communities might recognize their power to organize and petition copyright holders. One could also think about a law requiring publication of cultural works by the copyright holders under certain conditions (e.g. when a certain number of votes are cast in an online petition), or about the mentioned „use it or lose it“-clause that guarantees access to works if the copyright holders don’t manage publication. Even today, fan communities are very productive and contribute significantly to culture: fan fiction, fanzines and websites, and the sharing of pirate recordings (that even ten years ago would only have been accessible to a few elect people) over the Internet is commonplace. Communities and fans already self-publicate works that weren’t accessible (examples are Project Gutenberg for books and Parnassus records for classical music). However, copyright often limits these efforts. Probably, many fans would like to help with restoration and publication of Vladimir Horowitz‘ recordings, but due to current copyright conditions, the result of their communal work would depend on decisions not under their control and result in profit for others – factors that deter community engagement. We should therefore think about how we can enlarge the possibilities of communities to become directly involved in preservation, access to and publication of cultural works, by limiting copyright and granting access to those who take responsibility. Building on this, a new approach to sharing works and taking responsibility for them is possible, and a community-based culture can be created. Thanks for the insightful interview, Bernie and Martin! I’m quite astonished that even with such a world-famous artist as V. Horowitz, many beautiful recordings remain unissued due to, apparently, lack of sufficient commercial interest as at least one important factor. That would have been less surprising with lesser known artist, but with Horowitz I would certainly have thought there is sufficient opportunity to earn money. Apparently Sony seems to have little understanding about how to get the huge fan community engaged. Is this a problem with Horowitz only, or do you know whether there are other famous pianists where important recordings remain hidden in the vault? The extent of the problem is hard to determine; often it is not even publicly known which concerts were taped, and recordings are „found“ in the vaults. Unpublished recordings are usually only documented for well-known artists (e.g. in biographies or through research of fan communities). No one knows how many unpublished recordings from less well-known artists die a slow death in the vaults of the recording companies. But musical tastes change, and often artists might be ‚rediscovered‘ by future generations – if we give them the chance to do so! Even for world-famous pianists, I know of another case: It concerned many hours of unpublished material from Sviatoslav Richter. The small company run by aficionados that wanted to publish the material, Parnassus, finally won in court, but before that, they had to withdraw the CDs for some time. If they had not stood up to the (self-proclaimed) copyright holders, I doubt the material would have been published elsewhere. Even the problem of out-of-print recordings is very widespread: I know from experience that for somebody starting a collection of a classical artists, it’s often hard to get even half of the previously published recordings. New publications, of course, are more expensive than republication, due to costs for transferral from the masters, restoration, and documentation. They mostly happen for well-known artists. Thus, one can speculate that a substantial amount of recordings of less well-known artists remains unpublished. Frankly, I have a hard time to believe that: a) the curator of a website devoted to the works of a famous musician, „both commercial and pirated“ as the home page says, is actually believing that: with respect to artists restricting access to their own material, I don’t feel that copyright is something we should worry too much about [because] in most such cases, the death of the artist or generator of the restricted material ultimately facilitates access b) the interviewer didn’t spot such a huge flaw in the answer. Unfortunately, part of my answer to this question was cut out. When I said that „the death of the artist or generator ultimately facilitates access,“ I meant that their wishes that material not be released can be voided or circumvented. Hence, the copyright, their family’s ownership, is usually not the problem. I can cite all sorts of examples where artists have barred posthumous releases of certain works, and after their death, members of the family have immediately made arrangements for the works to be released. My (cut) example, was playwright Eugene O’Neill decreeing in his will that „Long Day’s Journey Into Night“ not be made public until twenty-five years (or so) years after his death. I’m not sure whether it was for artistic or financial reasons, but O’Neill’s wife and lawyers arranged for the play to be performed only two years after his death. This principle applies to Vladimir Horowitz as well. Wanda expressly decreed that „St. Francis Walks on the Water,“ „Islamey,“ and ALL OTHER pieces from the Yale collection not be commercially released. However, after she died in 1998, despite her wishes to the contrary, this is how happening. If Sony were making more money off these releases, you bet that all this unreleased material would come rocketing out of the Sony vault and Yale archive. Hence, with popular artists such as Horowitz or Eugene O’Neill, I think the problem is NOT centrally the copyright, but one of consumer expression. It’s all about money, unfortunately. If Sony were making more money off these releases, you bet that all this unreleased material would come rocketing out of the Sony vault and Yale archive. Hence, with popular artists such as Horowitz or Eugene O’Neill, I think the problem is NOT centrally the copyright, but one of consumer expression. It’s all about money, unfortunately. While that is certainly true, I still think that copyright is a huge part of the problem. As it is, Sony has the explicit commercial rights to these recordings, so as long as they decide that they can’t get enough money out of them, they stay unreleased. Without copyright, or if the duration of copyright was much shorter so that it had already expired, somebody else could get them published. Either smaller companies that might be less risk-averse than Sony or are satisfied with lower profit margins than Sony is willing to accept, or even fan groups who just want to share these recordings with the world without expecting a financial payoff. Without copyright, there would still be the problem of how and whether such independent actors would get access to the unreleased material, but I suppose that would be solvable. At is is, copyright stops all independent efforts that aren’t approved by both Sony and the Horowitz Estate. The Horowitz legacy has not been well served by either Sony or the executors of the Horowitz estate. Just look at the dismal quality of the releases in the last few years–rehashed repertoire in mediocre or sometimes outright shoddy transfers, very little that was new or interesting, despite the fact that extensive unreleased repertoire is known to exist in the Yale archives. The „original-jacket“ set that came out a few years ago did include some new recitals, if little actual new repertoire, but otherwise was incomplete and ineptly produced, lacking any discography or recording information. Indeed, the small and visually confusing booklet that accompanied it was larded with factual errors and embarrassing typos. Just compare that effort to the quality of the Rubinstein „original-jacket“ set and its companion book (a real book) that appeared a year or two ago, and you’ll see what I mean: the Rubinstein set is an elegant, high-quality product, preserving and enhancing his legacy in a handsome yet affordable format, less expensive than the Horowitz set despite containing nearly twice the number of CDs. One wonders who is in charge in the Horowitz camp and what they’re doing. @Tausendsasa: If you read the interview closely, you will realize that there is no single person oder group of persons in charge in the “Horowitz camp” that are responsible. It’s not individual people that are at fault, but rather the system, in this case, copyright laws granting control to one legal entity (Sony) that operates – and has to operate – solely for profit maximisation, but has not enough financial incentive for new publications. There are no limits to their ownership rights that would preclude loss of cultural heritage, or grant access to people interested in, and willing to put effort into, publication. If we don’t fundamentally change (or even outright abolish) copyright law, I predict that loss of cultural heritage will get worse. It’s probably a matter of time till we hear of some large-scale tragedy (e.g. a fire in the vaults of a record company or publisher) destroying millions of unique cultural documents, which would long have been archived by interested people (e.g. fans or public archives) if access was guaranteed, and copyright would allow for it. Such events might already have occurred and just not been noticed or reported. Only when the rule of copyright law ends, we will be able to take stock, and see what’s left.